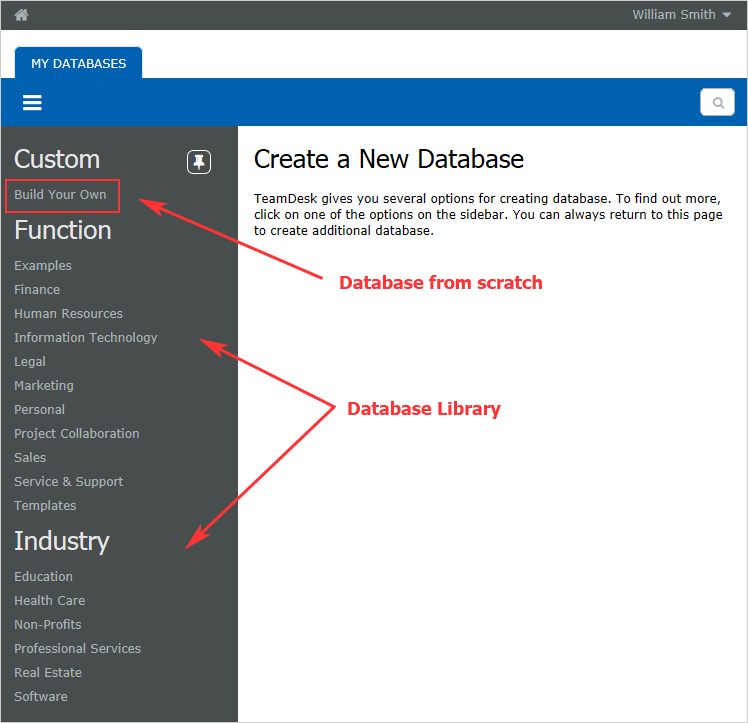 Say, you would like to start from a preconfigured database, so you may review TeamDesk library and find out a database template corresponding to your business process. In the majority of cases your critical business information may have been already stored in spreadsheets and you want to add this data to your TeamDesk database. You can create a new database from scratch, build your own tables and import all the necessary information. You can create as many databases as you like. Click the My TeamDesk link in the top right corner of the window. Choose Create a New Database from the menu on the left. From the list of possible database types select Build Your Own and click the Start From Scratch link on the main pane. In the displayed form, enter the name and description for the new database. Click Create Database. The system will propose you to create a new table (read the Creating a New Table topic for more details). Enter the name of the new table (Note: At this stage it is not necessary to specify table columns). Copy and paste data from another program. Import data into the newly created table as described in the Importing Data into a Table topic. Select the “Invoicing” database in the Database Library. 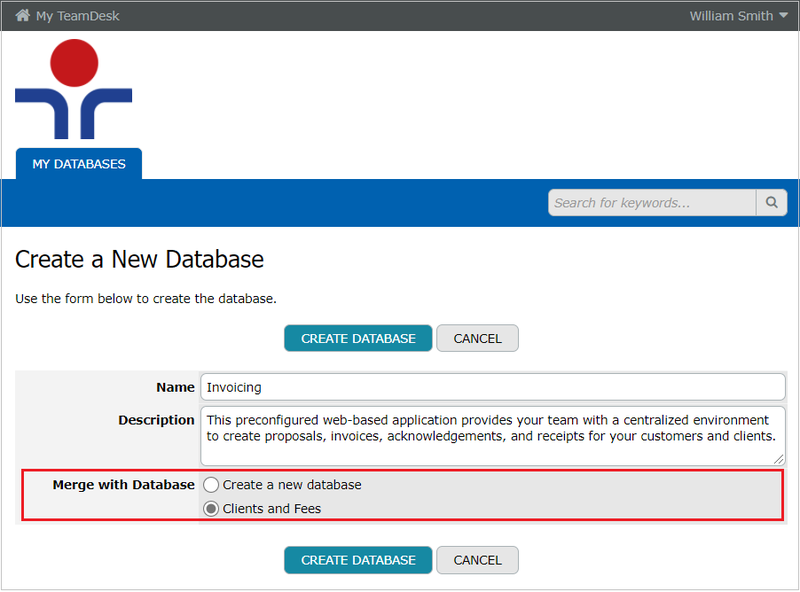 In the Merge with Database section choose a database that should merge the “Invoicing” preconfigured template.